Infographics are graphic visual elements used to share information, data, knowledge, or insight in a quick and clear way. By comparison to other types of content, infographics have been shown to have higher retention rates for the way information is graphically represented. The human eye loves visuals! 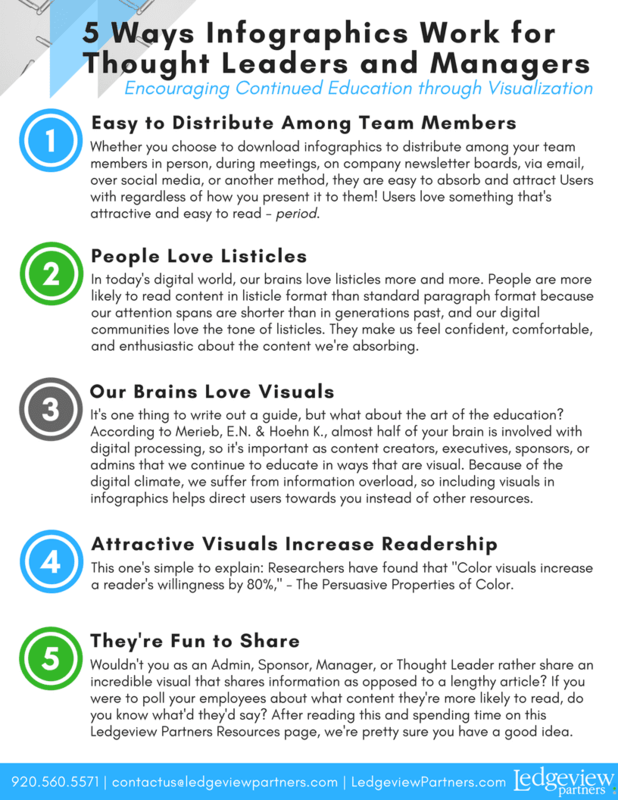 More benefits of using infographics to educate and provide insight to your team are shared below. Get More Infographics from Ledgeview Partners.